It's on! 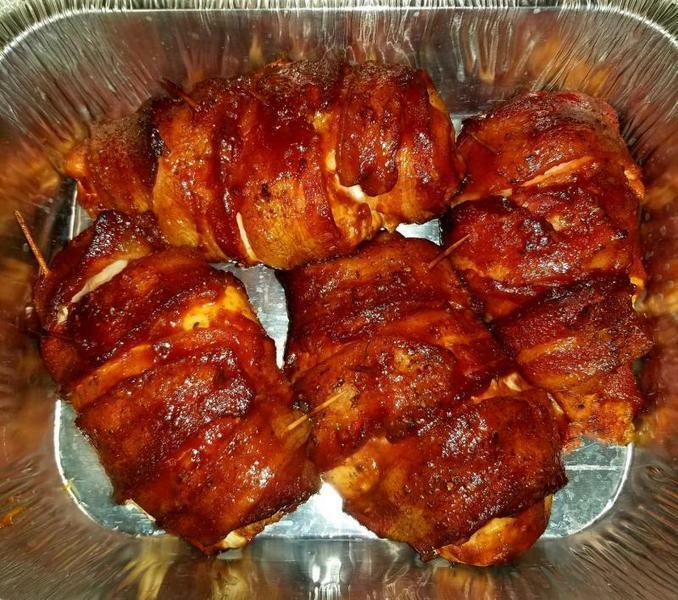 Jalapeno stuffed with Head Country BBQ seasoning, cream cheese and colby cheese. 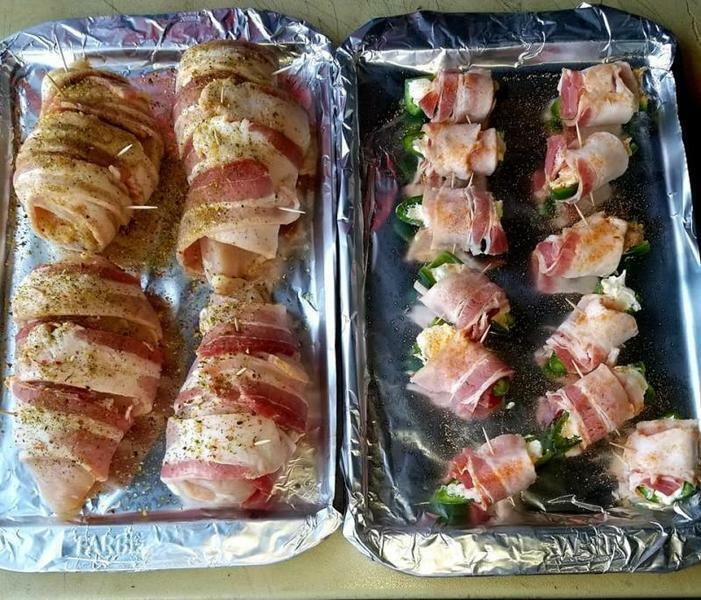 Stuffed in a chicken breast and then wrap in bacon. Cilantro Lime seasoning sprinkled on top. 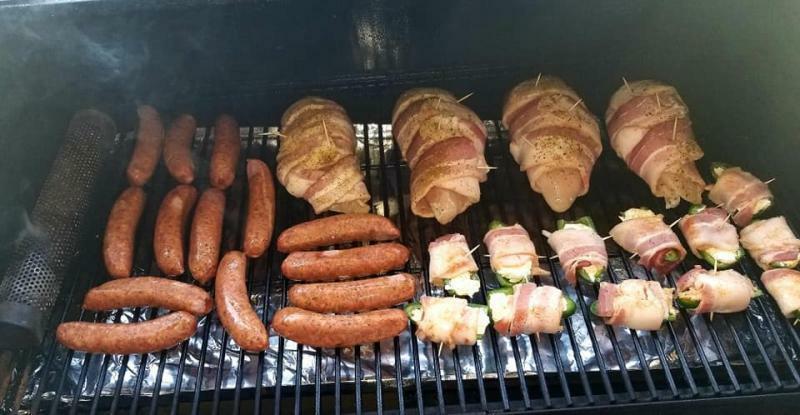 Along with jalapeno poppers and Sausage cooked by itself. It’s on like Donkey Kong! Y’all are going to be eating good! Woah. This looks great! I'm not even sure what we're doing for dinner yet. Lol! Wife and 2 of my boys and one daughter in law liked it alot. Me it was just okay. Turned out pretty though. 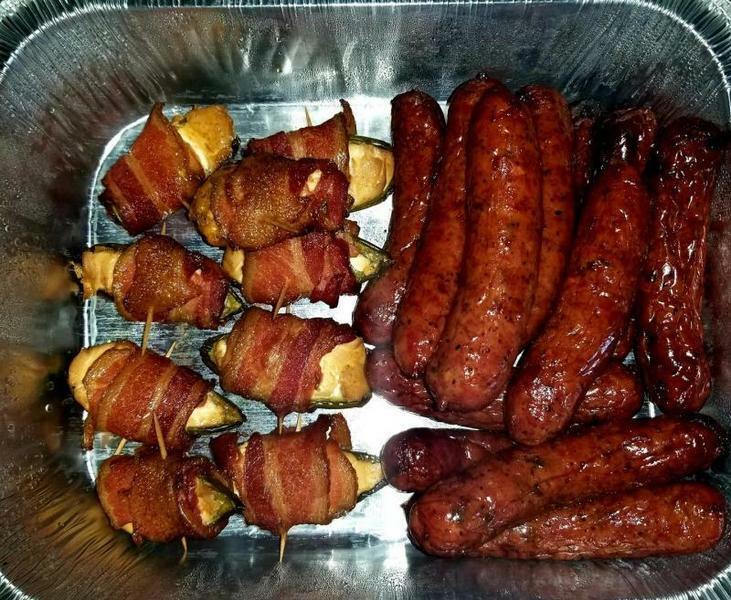 Sausage and poppers were more to my liking. Last edited by bobcat1 on Sun Sep 16, 2018 8:59 pm, edited 1 time in total. Yes sir! OUP he will be taught! Made a great looking plate too. Love bacon and that looks like good use of bacon! !